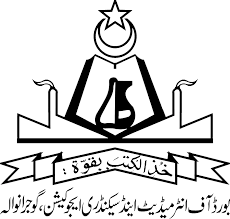 Gujranwala, Board of Intermediate and Secondary Education Gujranwala has started the admissionprocess for the BISE Gujranwala matric class annual exams 2018. The candidates are advised to submit their admission forms with single fee till the final date of 15-12-2017 and the candidates can also forward their application forms to appear in the matric class annual exams 2018 by 22-12-2017. The candidates can the last option to send their application forms by submitting their admission forms with the payment of triple fee till the final date off 29-12-2017. The candidates can apply for online admission in the matric class annual exams 2017 and they should follow the necessary instructions to appear in the exams.